Barbara, the barber truck, had a former life as a contract Fed Ex delivery truck. Barbara, as we affectionately call her, is not actually a box truck. It's called a stepvan (but Stepvan Barber just wasn't as catchy) and we purchased her in May of 2017. She was full of heavy, metal shelving and the inside looked nothing like the mobile haircut truck you see today. Over the summer and fall of 2017, the truck was gutted and then rebuilt by Pete Buckley of Buckley Remodeling & Home Repair. 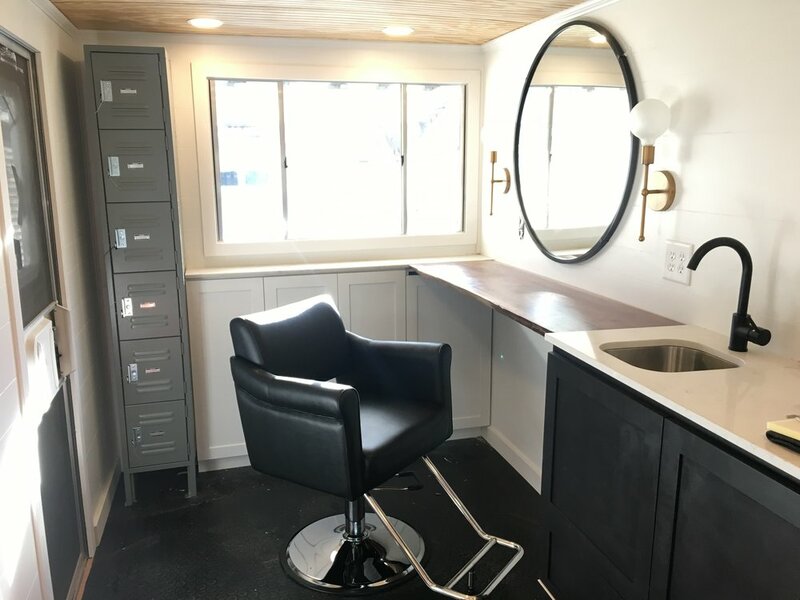 It has 2 styling stations, a sink, and a bathroom. The truck is fully self-contained and does not require hook up to local facilities. 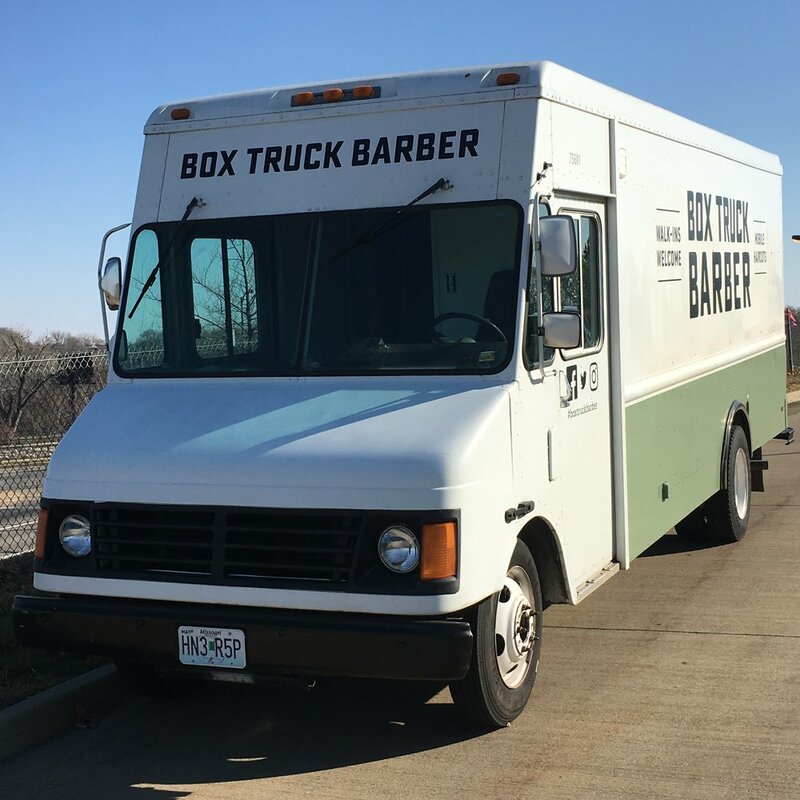 Box Truck Barber was an idea that Bess Lamoreux, the owner, could not get out of her head. She's married to a guy who hates getting his hair cut. She figured he'd be more likely to do it if it was quick, convenient and right outside his office. 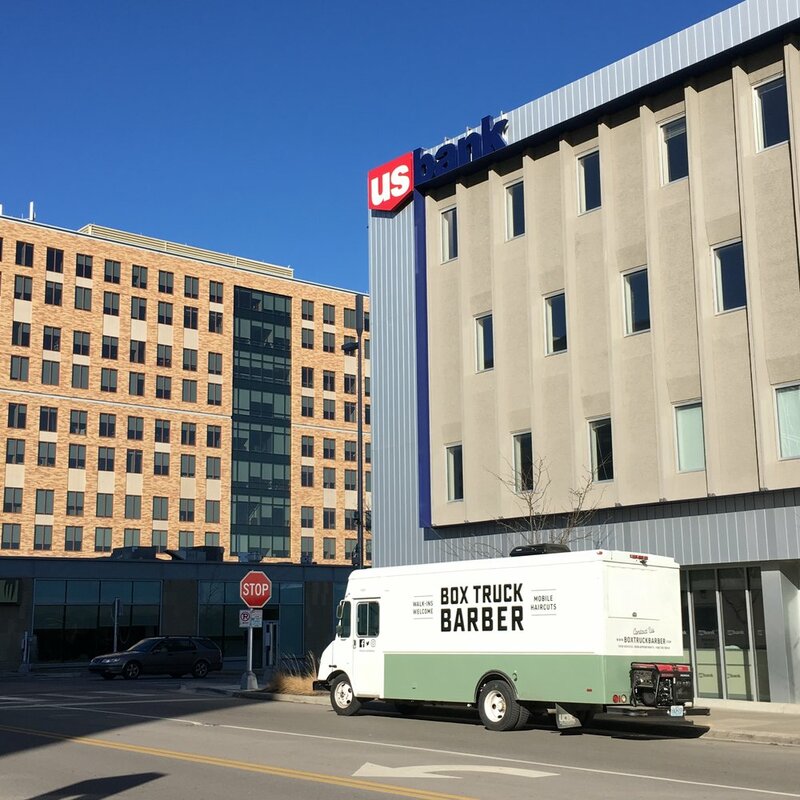 So in 2017, she set out to create the first mobile haircut experience in Kansas City.